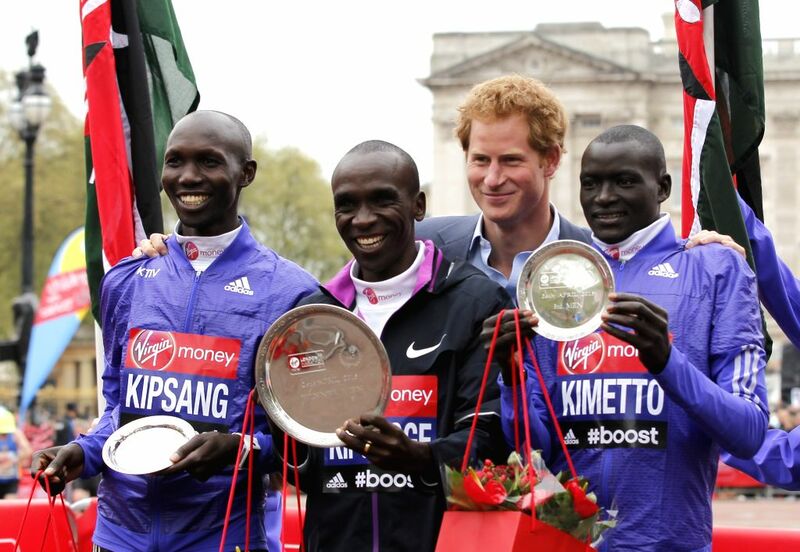 LONDON, April 26, 2015 - Britain's Prince Harry poses for a picture with winners of the Men's race Wilson Kipsang who came second(L), Eliud Kipchoge(C) who came first, and Dennis Kimetto(R) who came third, at the 35th London Marathon, Sunday, April 26, 2015. Eliud Kipchoge of Kenya won the men's race with 2 hours 4 minutes and 42 seconds. 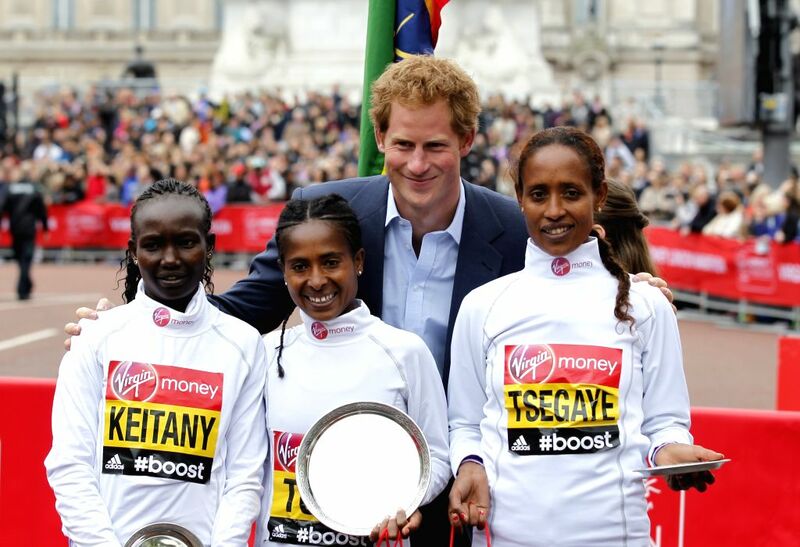 Britain's Prince Harry poses for a picture with winners of the Women's race Mary Keitany of Kenya(L) who came second, Tigist Tufa of Ethiopia(C) who came first and Tirfi Tsegaye of Ethiopia (R) who came third, at the 35th London Marathon, Sunday, April 26, 2015. 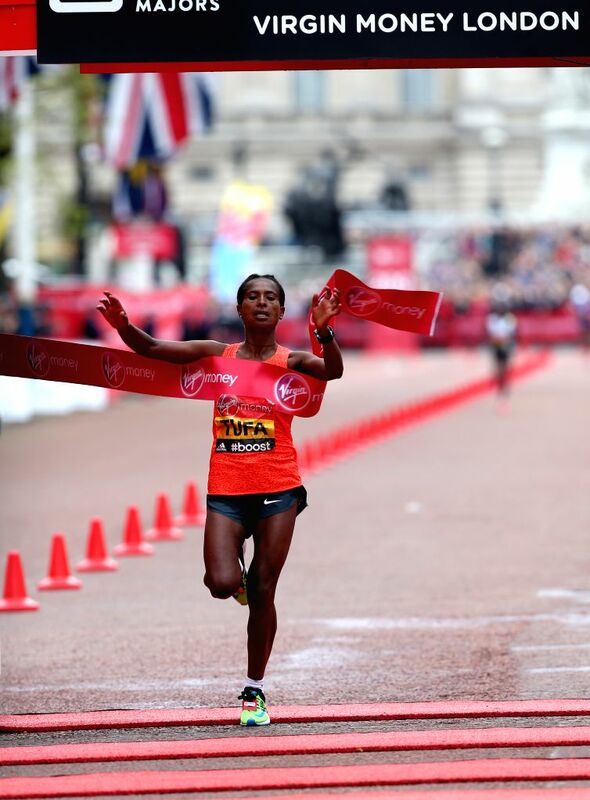 Tigist Tufa of Ethiopia who came first crosses the finish line at the 35th London Marathon, Sunday, April 26, 2015. Tigist Tufa of Ethiopia won the gold with 2 hours 23 minutes and 22 seconds. 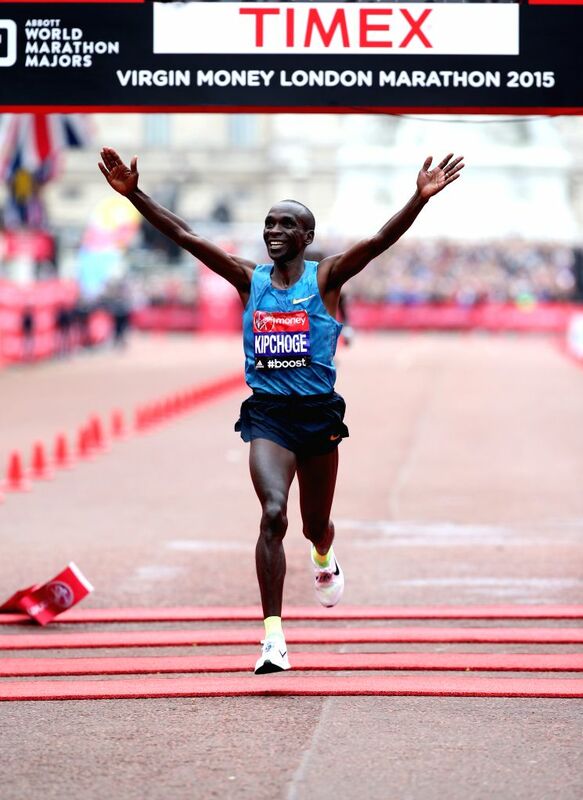 Eliud Kipchoge of Kenya crosses the finish line at the 35th London Marathon, Sunday, April 26, 2015.